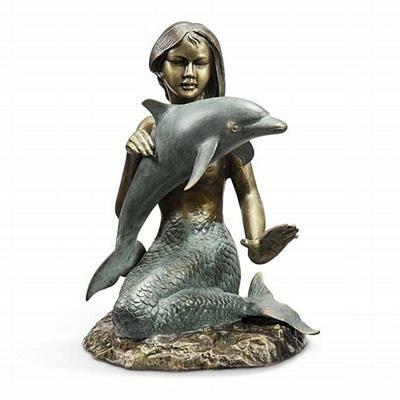 Welcome the look of the mermaid with this creatively designed sculpture translating for use as a bluetooth speaker. The mermaid comes beautifully detailed and is made of aluminum. The blue tooth speaker is a wonderful addition for the outdoors and a musical accompaniment to your barbaecues and relaxation time in the yard. Dimensions: 26"H x 20" x 17"